Oracle Precision is an advanced precision engineering company at the forefront of CNC machining techniques and manufacturing technology. Strategically based in the UK, Oracle Precision has become synonymous with the production of high-value, quality critical, yet affordable CNC machined components via state of the art manufacturing and inspection process techniques with the best CNC milling machines. Aerospace CNC Machining: our AS9100 accredited precision engineers are experienced aerospace CNC machining experts; we can deliver machined components to your exact specifications in batch or one-off manufacturing processes. Medical Device Manufacturing: we are world-leading medical manufacturing engineers, experienced in machining reconstructive medical devices, instrumentation, and ancillary components for this quality critical sector. Oil and Gas Engineering: our extensive oil and gas precision engineering services and capabilities have put Oracle Precision on the map as a leading oil and gas engineering company for critically designed and machined parts. Marine Machining: Oracle Precision’s right first time approach makes us ideal for the marine industry; our CNC machine skills and experience spans many key capabilities required for effective marine engineering. We use the latest 5 axis CNC machines and milling techniques to move a cutting tool or part along up to 5 axes concurrently, overcoming technical challenges such as tilted surfaces or complex 3D shapes. Our 3D CNC machining services can simplify manufacturing of even the most complex components, reducing lead times and therefore costs. We can take your 3D CAD model and verify, manufacture, and inspect it all in-house. 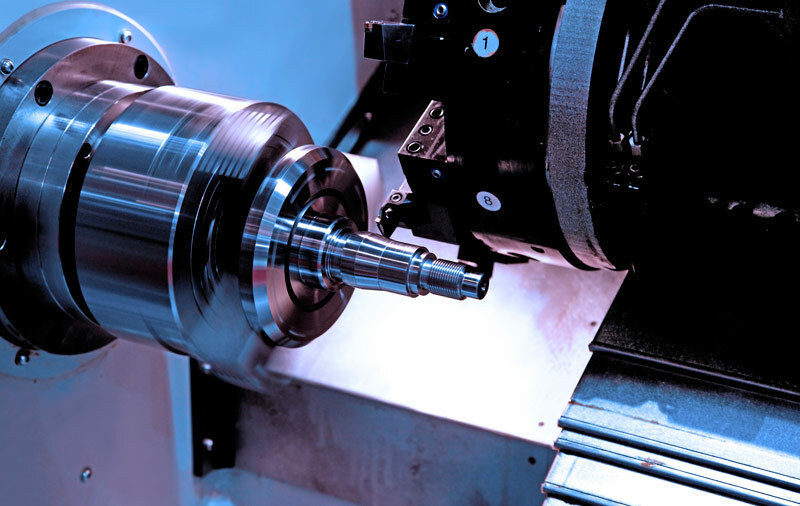 We use Star sliding head lathes to achieve up to 39 machining positions with 8 axes, for rapidly reduced cycle times and costs. These machines can often finish a component in a single set-up. Prototype machining is a popular choice for testing and developing component designs with CNC tools. Our highly skilled precision engineers are the ideal choice for a range of both one-off and small run prototype machined components. From 3D model verification to component manufacture and inspection services, our CAD CAM CNC programming experts always follow the correct quality compliance procedures to ensure your components are rigorously tested to be safe and reliable. In addition to component design and manufacturing, we can also use meticulous CMM inspection techniques to test components for quality critical sectors. We provide detailed reports based on your 3D models/2D drawings and quality requirements. Our capabilities have helped us grow to be the number one supplier of machined components for many internationally-known companies. Find out more about our precision engineering capabilities here. The key objectives at Oracle Precision are to forge alliances and key partnerships with individuals and SMEs as well as Blue Chip customers, foremost to the benefit of our clients but also ourselves. From initial concept through to product development, manufacture, and verification, Oracle Precision are in a unique position to guide clients through each stage and are committed to the successful outcome of any project, however small, on time, within budget and ‘right first time’. As a valued partner, you can rest assured that Oracle Precision is the right choice for all your precision engineering needs. Ready to discuss your requirements? Call us on 01226 350 010 or fill in a contact form to get in touch. In our bid to remain ahead of the game, we have invested in the latest 5 Axis technology. Oracle Precision are delighted to announce the appointment of their Operations Manager, Martin Birks.